When recording a testing scenario as described at Recording a scenario, you are presented with additional options you may consider according to your business requirements. •You want to reuse a scenario or consider information from an existing one. Every recoded scenario will leave a log file for you to check for the specifications in that scenario (business data and metadata considering tasks or others). •[YYYYMMDD_HHmmSS] corresponds to a timestamp of the recording's timing, represented in year (YYYY), month (MM), day (DD) and time (HHmmSS). •The timestamp should match the timestamp included by default within the name of the recorded scenario. 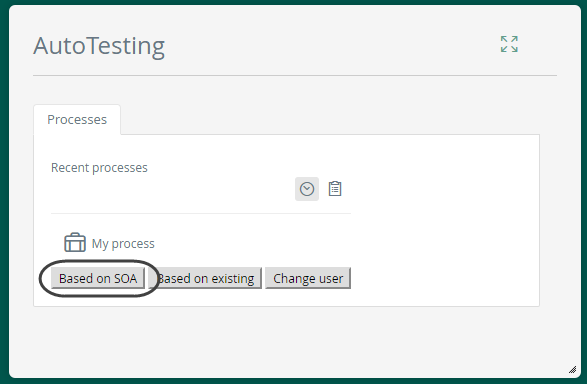 You can record a new scenario based on the web services provided by Bizagi in its SOA layer. This is very useful when simulating processes in projects in which they will be effectively created via the SOA layer. To use this feature, you must upload an XML that complies to a SOAP message. The following is an example of a SOAP message. For more information about the XSD and information expected inside of the <BizAgiWSParam> element, refer to the CreateCasesAsString web method. 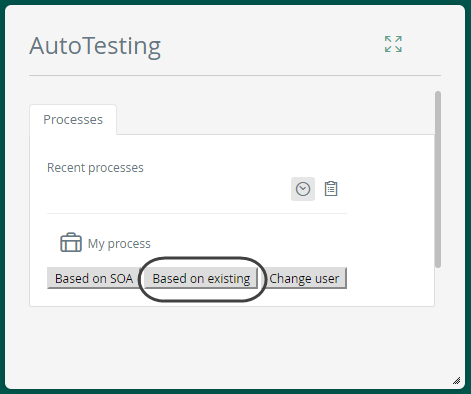 For this option, click on Based on SOA in the initial recording window. 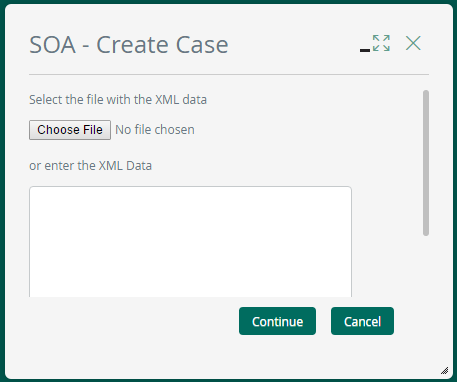 Upload your sample XML file, or input the XML content in the XML Data text box. 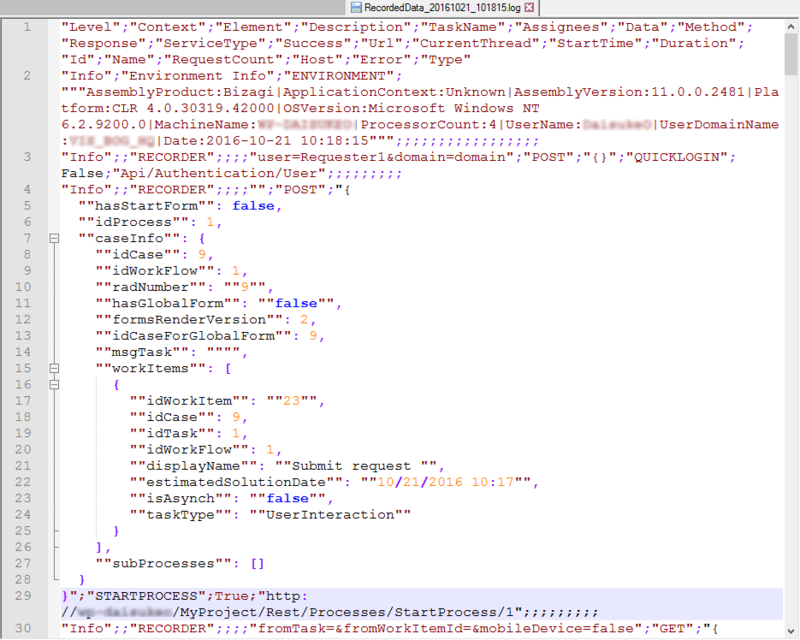 Take into account that in order to create an scenario based on SOA, you need to provide some sample business information within the valid XML (at the <Entities> element). Bizagi will create a new case and will start the scenario recording from the starting point of the process, based on the data defined in the XML. 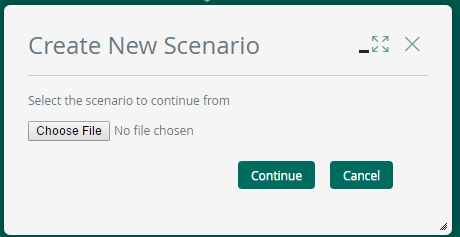 Similarly as when recording a new scenario from scratch, from this point on you may continue working with the process and click Stop to decide when to end the recording and save the scenario. You can create a new scenario based on another one (an initial duplicate). This is very useful when you are in early stages of your processes implementation and you are performing quick-prototyping tests as you move along with process requirements. This option allows to create a separate scenario while appending new information. For this option, click on Based on existing in the initial recording window. Upload the desired base scenario (.test scenario file) and click Continue. Bizagi will create a new case and will start the scenario recording from the starting point of the process, and allow you to continue and extend the scenario.